How to: glue the googly eyes in the center of each ball, then cut some wire and twist it into a “u” shape. 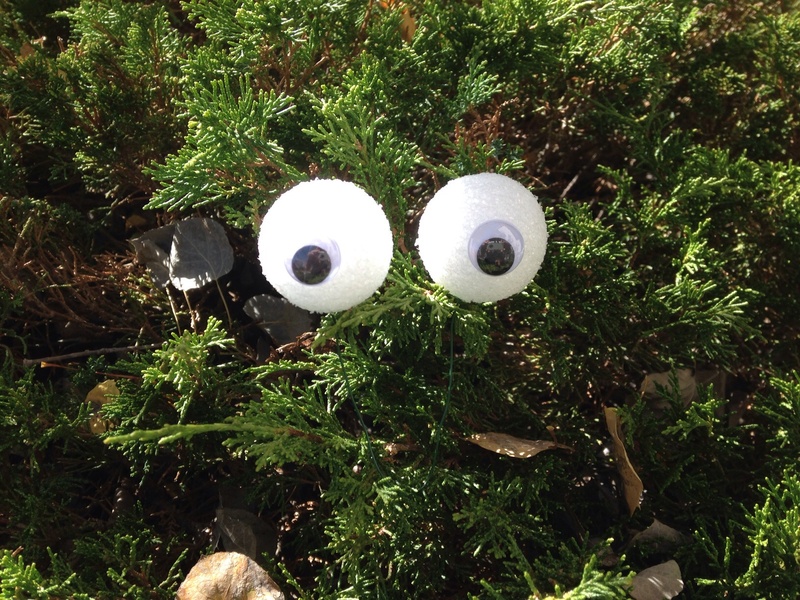 Attach an eye to each end of the wire, then place the eyes in a bush or hanging from a tree. Kick it up a notch by painting the styrofoam balls with glow in the dark paint before attaching the googly eyes. How to: clean and carve your pumpkin. Then, rather than placing a candle or light inside, use a glow stick. 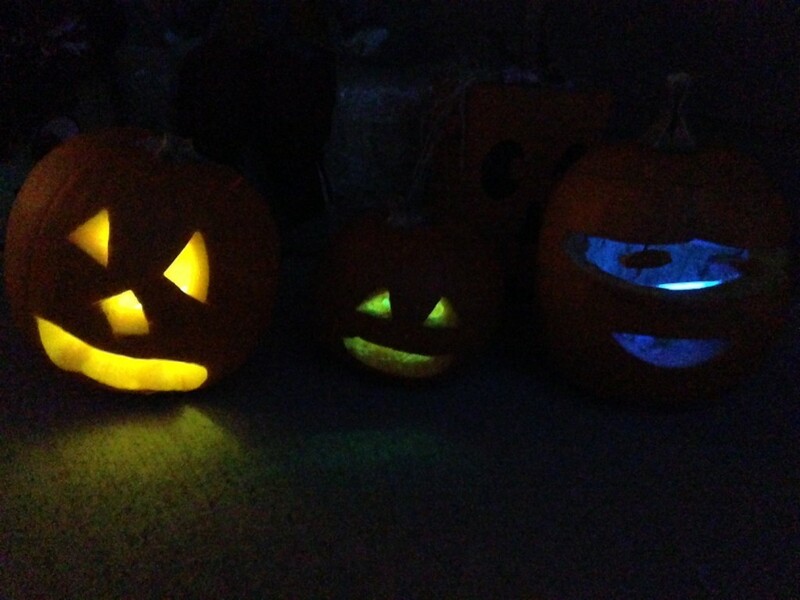 Purchase the colored variety pack and get a different look for your pumpkin every night.